Akagera National Park is a Rwandan safari destination blessed by nature’s beauty in abundance. Akagera located east of the country (Rwanda) and touching borders with Tanzania is an exception of Rwandan popular title as “a country of thousand hills”. It is a 2-hour drive from the capital city of Rwanda – Kigali. Akagera National Park, created in 1934, is generally 1,122km low altitude overflowing with stunning beauty and a magnet for travelers on tour into Rwanda. A new perimeter fence has been erected, and anti-poaching strategies have helped the wildlife populations to grow. Its a good place to visit on Rwanda gorilla safaris. Akagera is a one-stop Rwanda tour destination dominated by various landscapes and land features. Akagera is a purely open flat plain dominated by savanna grassland, bush and shrubs, montane and swamp vegetation. 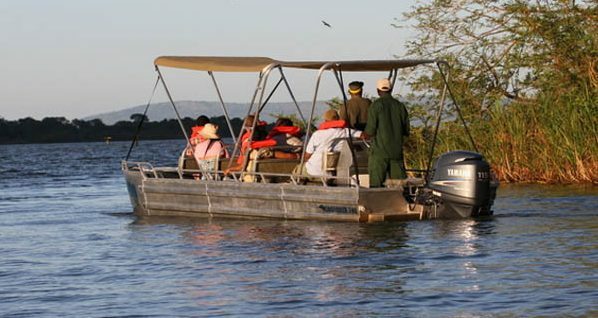 Akagera River in its senile state is a standout natural geographic feature that staggers into the Victoria basin further east, leaving behind a trail of beautiful scenic land features that travelers on tour of Rwanda find very captivating. The Akagera River is a big factor in influencing weather patterns and the corresponding humankind social-economic activities. The varied difference in natural treasures from the rest of Rwanda; terrain, land-forms and land features, vegetation cover, the drainage system and others correspondingly influence the wildlife species and population densities resident in Akagera habitat. Akagera National Park is a destination of choice for travelers on tour into Rwanda in need of exploring nature and discovering the secrets of wilderness beyond rain-forests. Game Viewing Safaris: Akagera has reputation as Rwanda tour destination with a large game range per area. Travelers on tour into Rwanda have opportunities of spotting a wide range of mammal species in averagely high population densities. Rwanda game viewing safari is very popular Rwanda travel, exploration and adventure activity. The travelers on tour into Rwanda traverse the grasslands and easily spot the best on any African wilderness safari. Large herds of elephants, giraffes and elands browse shrubs and shorter trees while buffaloes, rhinos, zebras, topis, water-bucks, impalas, hippos, warthogs and many antelope species keenly mow the plains making sure grass is short, palatable and of grazing levels. Predating carnivores are a major magnet for most travelers on wilderness safari into Rwanda. Observing pride of lions, leopards, hyenas, jackals and other smaller cats hunting live is very exciting to many travelers on tour of Rwanda and makes game viewing safaris into Rwanda very popular among-st travelers. 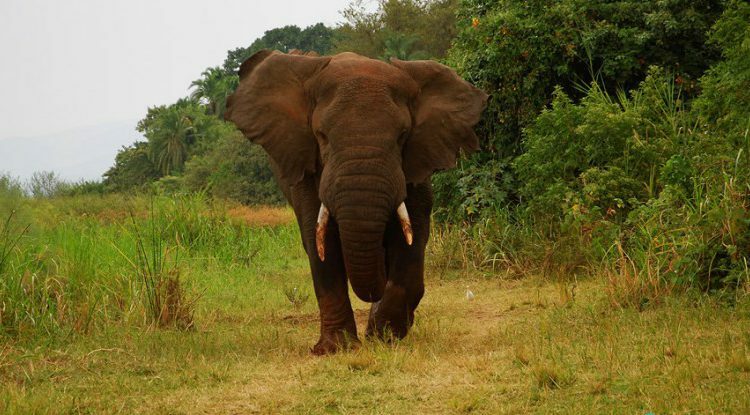 Though Akagera National Park has smaller geographic area coverage in relation to other African game reserves, it is a Rwanda safari destination where travelers on tour of Rwanda easily spot all Big 5 African safari mammals. Birding: With unique bird species from the rest of the country because of nature of habitat, Akagera National Park is an Important Birding Area and top Rwanda birding safaris destination. Akagera is the last barrier for the Congo rainforest and emergence of East African grassland. This intersection is a very popular habitat for a wide range of bird species and an ideal Rwanda birding safaris destination. Travelers on tour into Rwanda travel to Akagera in search of Papyrus gonolek, shoe-bill, African fish eagle, sacred ibis, blue-headed coucal, storks, kingfishers, egrets and a wide range of other bird species resident in this beautiful setting. Boat Cruise: Boat cruise on Lake Ihema is a high quality way of exploring a unique wetland landscape and an unforgettable way pampering travelers on tour into Rwanda. The cruise wanders into the hidden corners where travelers access the attraction they would not access in other ways. Travelers get close to hippos grunting and spluttering very close, huge crocodiles sunbathe on the lake shorelines while mammals trek to the watering holes to cool off the heat of the day. The Rwanda boat cruise safari is the most appropriate way possible travelers on birding safaris into Rwanda sneak close to secretive water bird species without detection. Nature Walk: Many travelers on tour of Rwanda in need of unique ways exploring the nature often walk and wander into the wilderness. The armed rangers are a living wildlife library and always share life experiences about the Akagera ecosystem while escorting travelers on walk. The walks are a unique way of body exercise in an environment where travelers wander, explore into and discover the wilderness their own way. Spot Fishing: The travelers in search of unique exploring and discovering Rwanda opt for spot fishing on Lake Shakani. Spot fishing offers high opportunities for anglers to relax and experience the splendor of wilderness with extended time of interacting with nature. Scheduled spot fishing competition attracts international participants, has an advantage of business networking and grow business opportunities. Unique to Rwanda fishing safaris is an opportunity for anglers to make use of some of the fish catch, unlike other places with strictly catch and release system. Herdsmen Culture: The tour into Rwanda in Akagera brings travelers into contact with the indigenous Rwandan herdsmen in the neighborhood who keep large herds of long horned Watutsi cattle. The visitors tour the herdsmen homesteads, explore their lifestyle and discover that their well-being rotates around cattle. The size of herd of cattle is a sign of wealth, source of prestige and currency for business transactions. The diary products and other resources from cattle are a backbone for the culture and traditional family lifestyle. The travelers set out in the morning, participate in milking cows before wandering into the bush to graze cattle. Processing raw milk into yogurt, cheese and preserving dairy products is a Rwanda safari activity that many travelers find very exciting. The safaris into Rwanda explore the lifestyles of the herdsmen and discover the strong bonds that bind society and livestock together. Ruzizi Tented Camp: is luxury tented safari camp located in the African wilderness setting 10minutes drive to Akagera National Park. The safari camp set close to the shores of Lake Ihema and guarantees travelers on safari to Rwanda stunning views of sunrises each morning. The safari camp is set on a raised deck to minimize odds of lake flooding, hippo trampling on camp facilities or crocodile attacks on staffs. From the lounge, bar and restaurant travelers have magical views of hippos grunting and sputtering in the lake as well as large mammals trekking to the watering holes to cool off the heat of the day. The safari camp accommodates a limited number of clients in a few solar-lit tents. Ruzizi Tented Camp is more private, less congested, less noisy and an ideal retreat for honeymoon, corporate retreat and a Rwanda safari destination with less inquisitive eyes. A mini library with exciting travel books and novels keeps travelers more engaged in Rwanda tours even when out of the field. Fire pit is a very popular spot in the evening where travelers congregate and catch on current life trends and share Rwanda tour experiences while looking into a clear sky with bright stars and sipping on chilled drinks. Ruzizi Tented Camp is 5minutes drive to the park and an ideal base to launch game viewing safaris, boat cruises and all Rwanda safari activities within Akagera National Park. Akagera game lodge: is beautiful Rwanda safari camp set on a wooded hilltop inside the Akagera National Park. The lodge has magnificent views of Lake Ihema and the adjacent wilderness. Akagera Game Lodge is a “has-seen-all” establishment that opened in 1970s and has withstood the test of time. The lodge settings and services cater for both urban and wilderness travelers on tour of Rwanda. The lodge boasts of a large swimming pool, tennis court, stable internet and WI-FI. The lodge has special facilities for wheelchairs and VISA card payment services. The restaurant, lounge and well stocked bar overlook the lake and the wilderness. The travelers on safari to Rwanda have a unique world of deep relaxation. Giraffes, elephants, warthogs and other wildlife species are regular visitors into the lawns and at times close to the visitors’ rooms creating Biblical images of Garden of Eden. The loud howls emanating from the wilderness in the night give the lodge the perfect definition of wilderness safari lodge. Akagera Game Lodge is a perfect rendez vous to launch Rwanda game viewing expeditions and a place to rest, relax and live your Rwanda tour dreams after exploring into the wilderness. Dereva hotel: Located 40minutes drive to the park Rwamagana town, Dereva is worth mention amongst places to rest to or from Akagera National park. Dereva Hotel is an urban establishment with restaurant, bar, lounge, WIFI, free internet services and swimming pool. The hotel offers private car hire services. Although a distance away from the park, Dereva Hotel is worth noting because of strategic location on road to Volcanoes National Park. It is an ideal rendez vous for overnight stay to break the journey either direction. Dereva Hotel is a place of choice for travelers on tour into Rwanda who blend strong urban lifestyle attachment with a touch wilderness setting. Akagera rhino lodge: this lodge is located in Kayonza on Nyagakonji hill 6km from the entrance to and overlooking Akagera National Park. The travelers on tour of Rwanda have a blend of urban and wilderness settings and services at Akagera rhino lodge. The lodge’s spacious lounge, restaurant and bar open till the last customer leaves. Travelers wander in lodge’s large lawn for outdoor services and children games and sports. Biking safaris, walking safaris, cultural tours into Rwanda are easily booked from reservations desk. The lodge offers car hire, laundry and foreign exchange services on request. Akagera rhino lodge is an ideal place for travelers on tour of Rwanda using public transport to arrange private transfer into Akagera National Park. Ntungamo district of Uganda: Note that Akagera National Park is close to Uganda border district of Ntungamo and travelers on safari to Rwanda with ongoing tours into Uganda or coming from Uganda can spend a night in Ntungamo town to break long travel. Ntungamo town, an hour drive from borderline has a wide range of hotels that cater for all kinds of travelers. Bukoba town to Tanzania: Akagera National Park touches and forms borderline with Tanzania in the east. Safaris into Rwanda sometimes originate from or extend into Tanzania. Bukoba town in Tanzania is an ideal resting place to spend a night and proceed in either direction. You can visit Akagera National Park with our Rwanda tours and travel company.